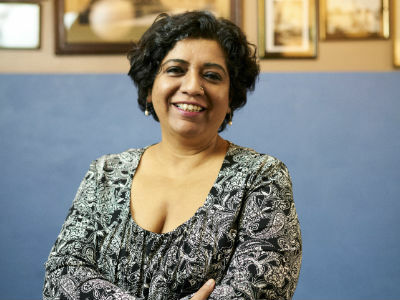 Asma Khan is the first UK-based chef to appear on ‘Chef’s Table’, available on Netflix on 22nd February 2019. Season 6 takes ‘the journey home’ as its theme. Asma Khan is the chef-owner of Darjeeling Express, an acclaimed Indian restaurant in London that grew out of a popular supper club. Khan was born into a royal family in Aligarh, India. She only became interested in cooking as an adult, when she was working as a constitutional law scholar in Cambridge, England, and realized that her husband was a bad cook. After working through her family’s recipes and also studying 1930s Royal Nawabi/Mughal cuisine, she decided to ditch her legal career and launch a supper club. That operation eventually morphed into a permanent restaurant, staffed entirely by female chefs, that’s now the toast of the town. Asma Khan’s book, ASMA’S INDIAN KITCHEN, was published by Pavillion in 2018.